Deep cultural and historical research seems to be the pivotal anchor of Adriana Varejão’s work. Her versatile painting and sculpture-making skills, coupled with thorough investigations about colonialism, anthropology, cultural cannibalism and racial identity in Brazil, have made Varejão one of the most relevant South American contemporary artists in the past two decades. However, it was a conversation with Pedro Alonzo, adjunct curator of Dallas Contemporary, which prompted Varejão to shift focus from her native Brazil to the Native American Indians. These conversations with Alonzo turned into Kindred Spirits, a series that made its debut in Varejão’s solo show at Dallas Contemporary in September of 2015. These pieces are now on view at Lehmann Maupin on Chrystie Street along with the Mimbre paintings. A trip to several libraries and institutions, including the Peabody Museum of Archaeology and Ethnology at Harvard University, prompted a newfound interest in Varejão that wasn’t far from her original topics of concern: visual culture and the concept of occupation, identity, displacement, land ownership, and imperialism through the lens of the Native American Indians. Kindred Spirits is a series of 29 identical portraits of the artist, which she commissioned to be made in China after sending her picture and wrestling with the ideas of production, authorship and how many people are required to make a work of art. She says that the paintings arrive from China looking “dry, efficient, and soulless.” She then intervenes each portrait by breaking hierarchies between the Native American traditions and contemporary American artists whose references Varejão brings in the form of facial paint, hairstyle or adornments. For example, in the portrait that alludes to Frank Stella’s work, Varejão painted black and white lines across her own face in the same style as some Native American tribes; in that which references Georgia O’Keefe, there is a mask over Varejão’s head paying homage to a painting O’Keefe made in 1942 reflecting on the deities worshiped by the Hopi tribe. Others like Mark Rothko, Robert Ryman, Eva Hesse, Sol Lewitt, Donald Judd and Agnes Martin are also referenced in Varejão’s own take. 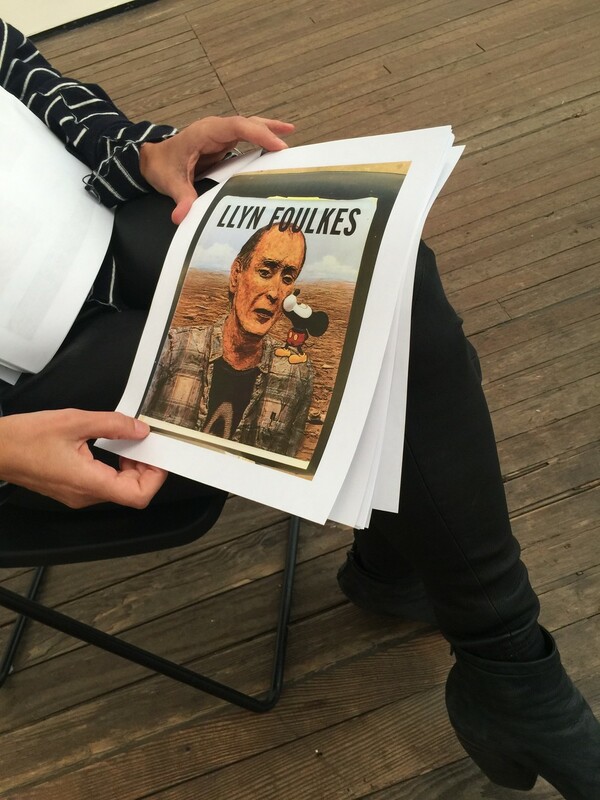 American artists who aren’t as high-profile also surfaced during Varejão’s thorough investigation: George Catlin, who painted portraits of Native Americans, Llyn Faulkes who intervened the surface of portraits and Paul Thek who juxtaposed the American Minimal aesthetic with more organic elements. To add emphasis on how these paintings equalize opposite cultural American traditions, they are positioned in a row next to each other and none of them have hierarchy over one another; nor do any of them have a special name - they are each simply a Kindred Spirit. The Mimbre paintings perfectly interact with the portrait series, as they were inspired by the Mimbres: a tribe that lived in what is now the southwestern part of the United States during the 11th century and whose legacy, among other things, were several artifacts and pottery, which not a lot of people had studied. The artist’s curiosity found a piece of obscure information: the Mimbres were buried with a vessel that had a hole, placed on top of their heads, as if to allow their spirits to fly and leave the physical plane. Varejão’s Mimbres are made with a plaster-and-paint mix that is poured onto the canvas and when dry breaks on its own creating cracks and having a similar intent as the Mimbres had: to surround the piece with certain mysticism, as if inviting the viewer to wonder what kind of energy is behind that thick interface. The color choices of terracotta, black, yellow and eggshell-white match the Mimbres’s own aesthetic. The edges and borders reproduce some of the black-on-white designs and geometric motifs that their own pottery had. 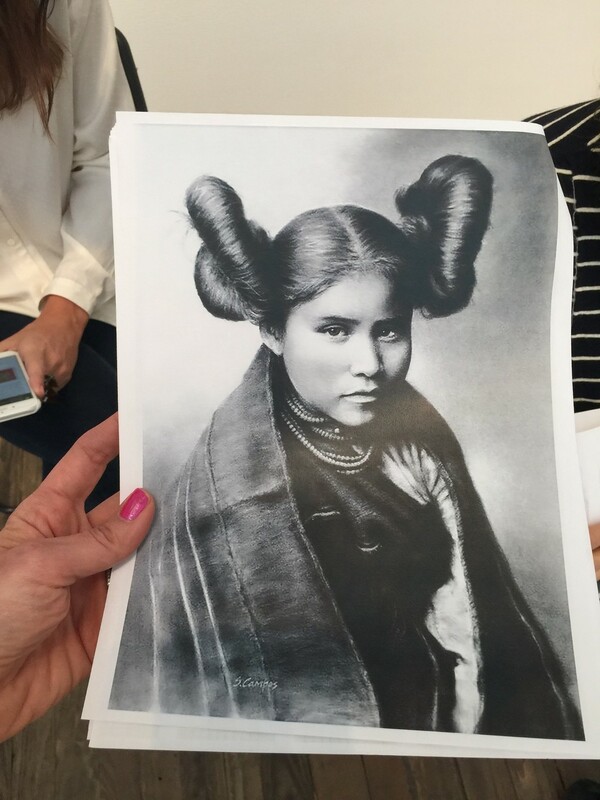 Varejão is so prepared to back up her work that she has photocopies in her hands of some of the most important books and images that stood out to her while researching a culture and an ethnicity that at first seemed foreign: photos of Hopi women wearing a hairstyle of whorls, drawings of Mimbres’s burial rituals, images of her own previous series where cracked paintings looked to make ties with 11th century Chinese Song dynasty ceramics, and American Indian portraits by George Caitlin were only a few of the many pages that she held and showed me during our time together. The issues that Varejão is dealing with in her work, and this particular series, are timely and complex. Whether in the United States or in Brazil, the ethnic and racial differences of people, their interactions and relationships, how they mingle and what their role in culture and society is, what is acquired and what is authentic - all are valid questions that are powerfully addressed in her art. She insists she isn’t an anthropologist and that her formal research is creating a hybridism of her take on pre-Colonial culture and what is now considered the high spectrum of fine art in America. I beg to disagree; Adriana Varejão is not only an exceptional artist, but also a cultural anthropologist in her own right.